Business owners and CTOs often commit the expensive mistake of buying a business phone system that does not match the communication needs of the businesses. The purchase of a business communication system is a very significant decision that can have a long lasting impact on your business. You will need to make an informed choice to make optimal use of the office phones and this means there shouldn’t be any kind of a compromise when choosing the vendor and products. Here is a list of some of the common mistakes that you should avoid when buying a business phone system. The office telephones do not serve only the single purpose of making and receiving telephone calls. Multiple communication tools like credit card terminals, fax machines, inbound and outbound customer calls, customer service calls etc. 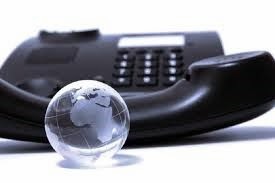 are all dependent on your business phone systems. VoIP phone systems stand out when it comes to efficiency and cost; however, these too can fail. Thus, it is extremely important to have back up landline phones which can be used even during power outages. Communications systems cannot be down for too long and you will have to build a perpetual communication system that includes both VoIP as well as landline telephone systems. Often we get to see VoIP phone systems coming to a complete standstill just because of an on and off internet connection. In order to avoid this, you will need to ensure that your VoIP business phone system is supported by a secondary internet connection. Thus, in the event of one of the internet connections going down, the other one can provide the necessary support to keep your communication going. SIP or Session Initiation Protocol initiates the sessions over an IP network and it is one of the most preferred protocols of VoIP users. SIP has been found to work smoothly with internet applications and users are able to avail a variety of services that include click to call on the web pages, voice-based e-commerce, conference calls and instant messaging. It is very important to have a highly scalable telephone system at office because it would be very impractical to invest on new phone systems every time you need to add new communication devices to the communication network. You will have to choose a system that would work seamlessly with other communication tools and technologies. For instance if you are using Microsoft Outlook in order to check mails, book conference rooms and sharing calendars then your phone system too should work in a manner that fits in seamlessly with Outlook. Proprietary systems might seem to be an inexpensive alternative but they often fail to interact with other technologies, which eventually makes business communication less efficient. You should always opt for a phone system that facilitates easy transfer of both the phone lines as well as numbers. In case your employees have to shift desks within the office or have to move to some other remote locations, your communication should get that done without any hassles. While buying a new investment system, you will need to also analyze the features that you might need to use in the coming years. A thorough analysis of your future communication needs would give you an idea about the kind of system you will require. Ask the vendor about the different types of services that you can expect in the coming days.